In Star Trek: The Next Generation episode(s) Time's Arrow we learn of time travel shenanigans happening on earth in the 1800s through various artifacts discovered in an abandoned mine. One of these was a watch. We learn later that it's Samuel Clemens' watch when he winds up in the 24th century. However, when he gets back to the past he sees his watch in the mine and picks it up, thinks about it and puts it back. Did he already get back his watch when he was in the future, or did he go on watch-less? 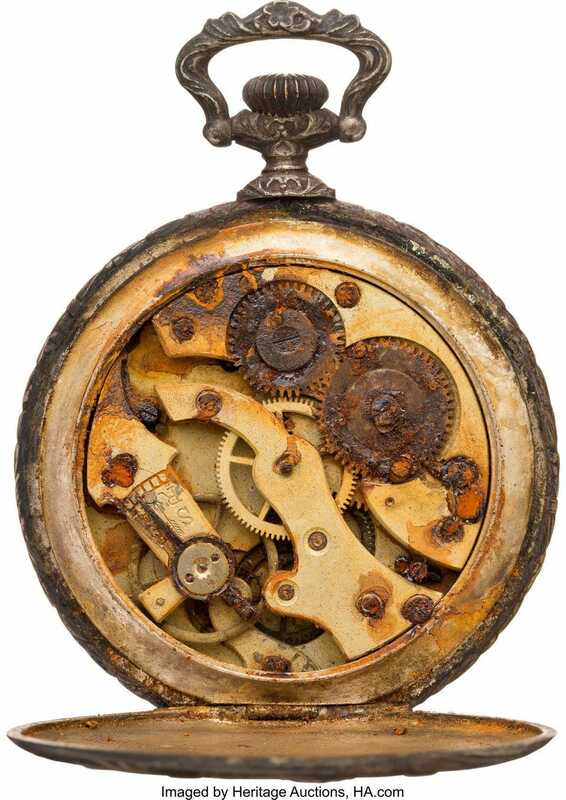 The implication is that the watch, which would have contained steel parts and that had been left for centuries in an unsealed cave, was rusted or decayed beyond reasonable repair and Clemens simply left it to be disposed of or kept as a curio by the crew. Clemens notices something on a nearby table... picks up the watch from the cavern. GEORDI: It was found in the cavern... near Data's head. After five hundred years, I doubt that it'll work either. Clemens puts the watch back and regards the lifeless android sadly. CLEMENS: Mister Data... I fear I sadly misjudged you. 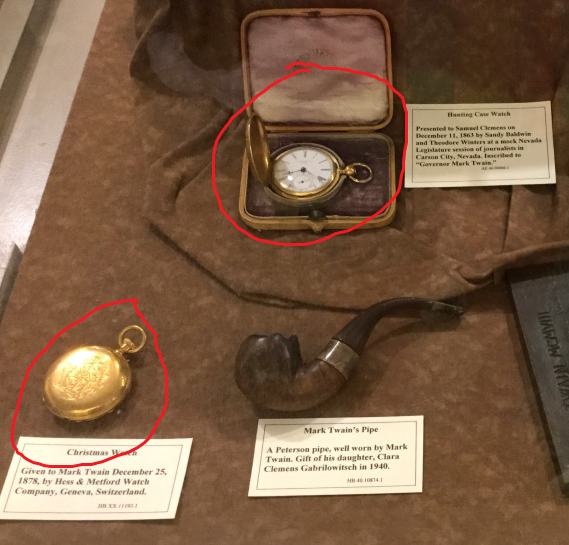 In real life Clemens (Twain) is known to have owned multiple pocket-watches. There are several numbered among his stored personal effects on display at the Mark Twain Museum and at least two on current display. It might also interest you to learn that he gave his name to a shady pocket-watch mail order company that marketed a patented "Mark Twain" watch (that stopped regularly and failed to keep correct time). After the failure of this pyramid scheme, he was utterly scathing about watchmakers as a profession. Did Data ever have an issue with his head being 500 years older than his body? How did the Pakleds get Romulan shields? Does Worf ever experience any back problems after the operation? How does Chakotay get his medicine bag back in “Initiations”? Did the Selay & Antican delegations ever get to the peace process? Did we ever see Enterprise-D's arboretum? Did Hugh ever accomplish his mission?